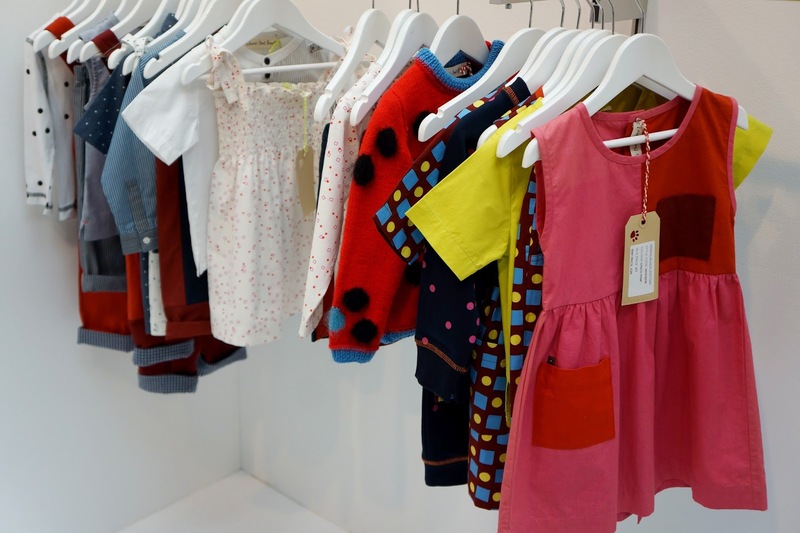 I have always been interested in fashion, materials and dress-making and as a parent children's wear and children's fashion has become a natural extension of that fascination. To indulge in this fascination I recently popped in by a children's wear trade show. I've provided links where I can if you want to learn more about them. I loved the concept of Model My Own. 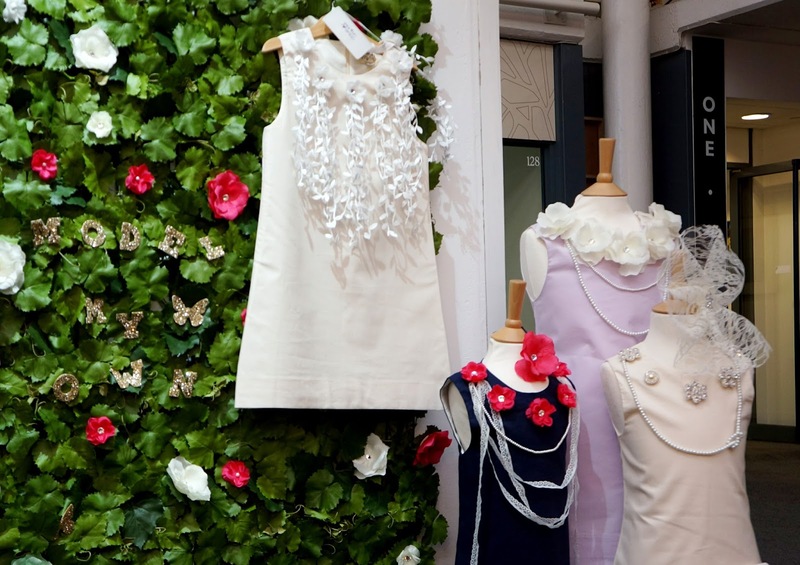 You buy a dress, and customise the dress neckline with the attachable accessories. The accessories range from little flowers to full-blown collars. I can see this really making it as occasion wear (one dress with different accessories will last all year long) and as dresses for wedding flower girls. So many possibilities for customising! 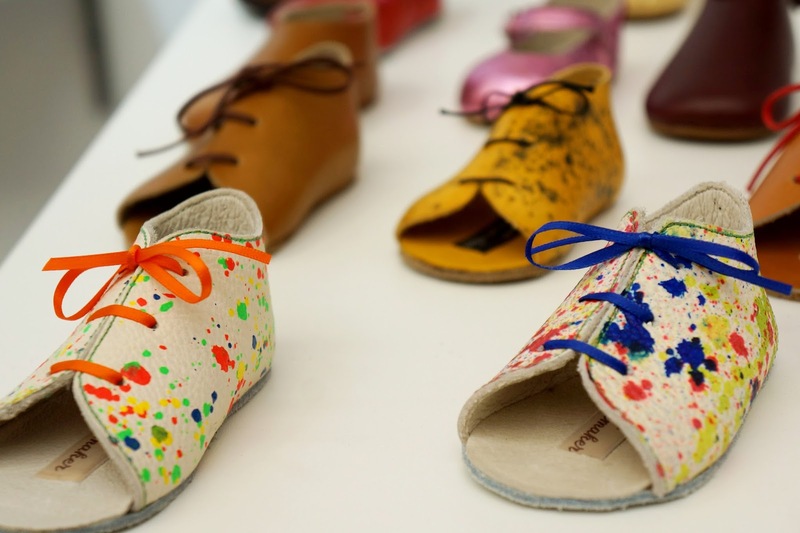 The Little Shoemaker was a funky art-inspired shoe brand. Drawing inspiration from an arts background the shoes were an explosion (quite literally) of colour and modern ideas. 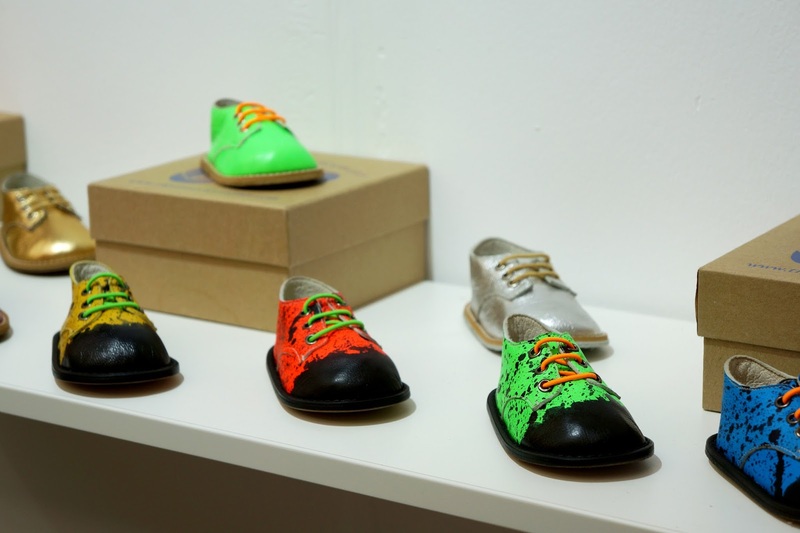 Handmade in Britain, each shoe model tested by two little eager sweethearts brought up as shoe aficionados from an early age. 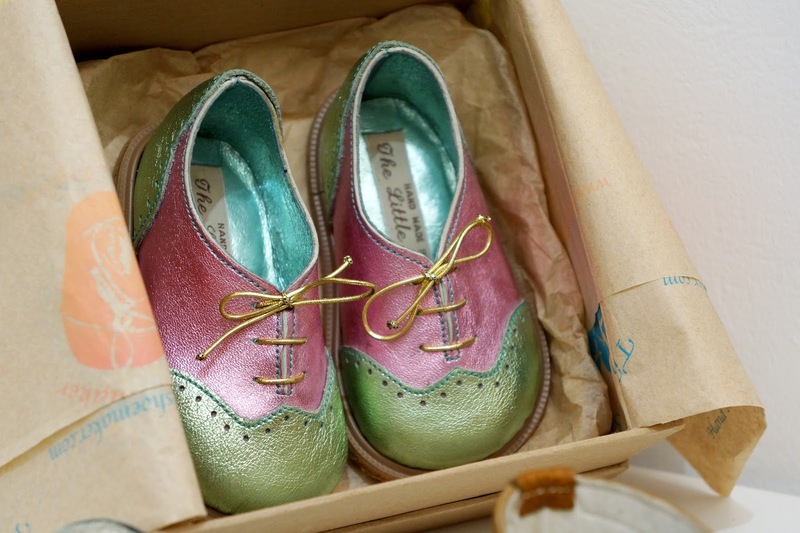 I particularly loved the metallic pastel coloured brogues - incredibly beautiful! 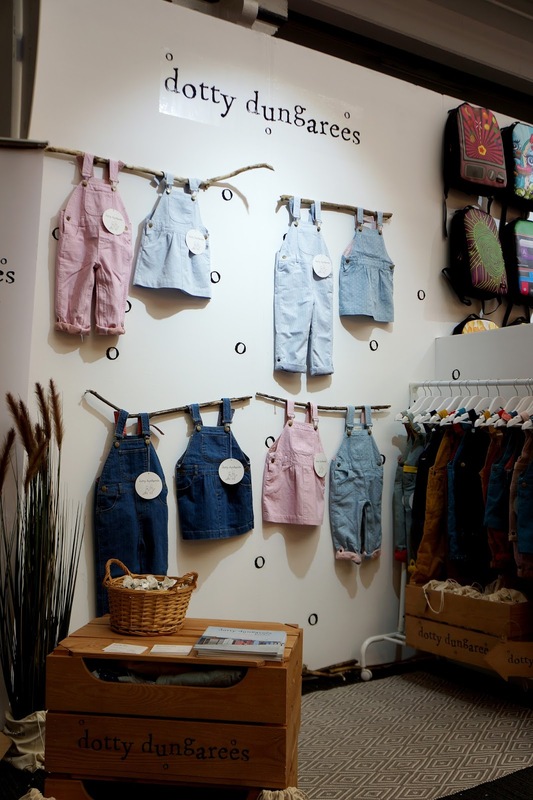 Dotty Dungarees is a brand I had already heard of before the event and I eagerly popped by their stall to check the quality of the fabrics and feel of the cuts (both great). 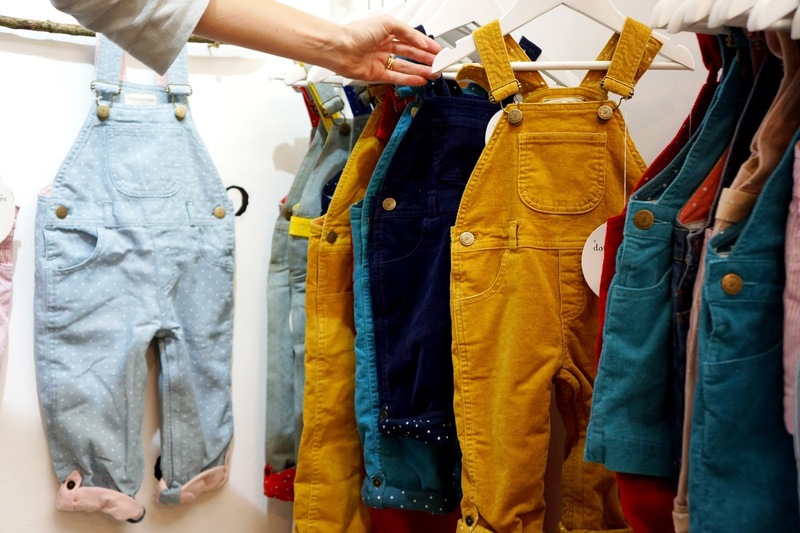 Their unique selling points are the unisex dungarees, but now they have also included cute little dungaree skirts due to customer demand. The soon to be released collection has gorgeous corduroy and autumnal colours, loving the mustard corduroy. 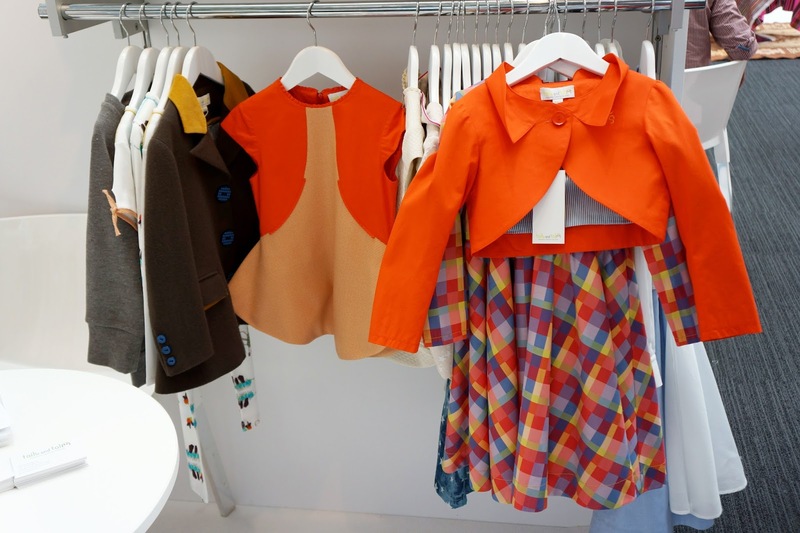 Peacheyboo is a very recently launched brand straight from Brighton, inspired by the childhood memories and colours of Brighton. I loved that Hannah combines her childhood memories in the her illustrations - like her Nana's recipes, and her favourite teddy bear. Loving the colours and the fun little illustrations which are gorgeous on babies. 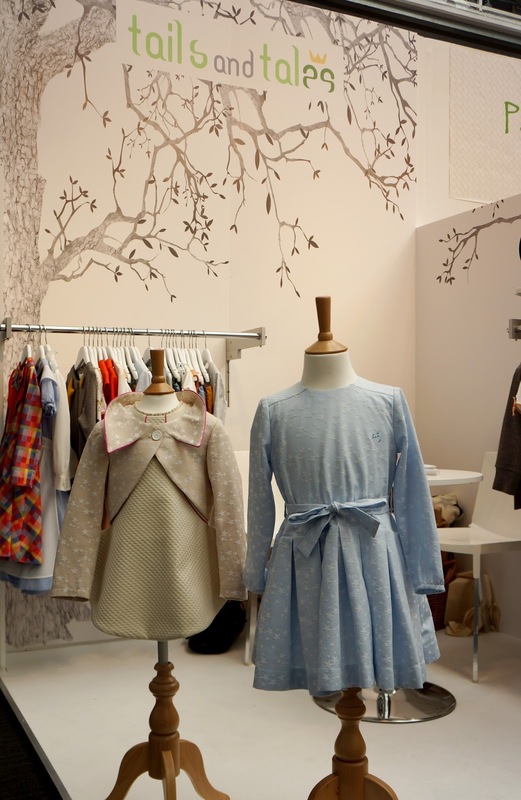 Tails and tales is London-based brand that does seasons based on fairytales. This season the theme is 'Alice in Wonderland' and I loved the bright colours and graphic cuts. The Queen of Hearts dress and jacket (pictured) were to die for, with an inspiring cut. The idea for inspiring your seasons fits so nicely to childhood, and I am dying to know what fairytale they will choose next. Unfortunately next seasons theme is still top secret! 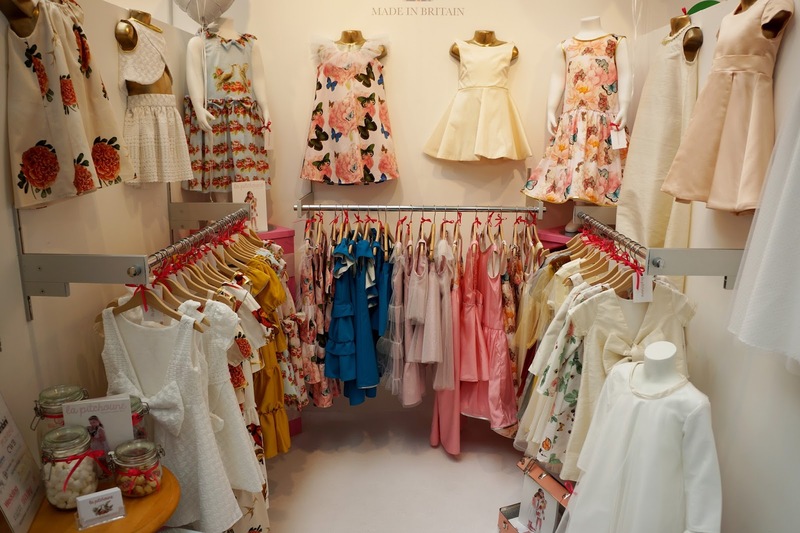 La Pitchoune does luxury dresses for girls - gorgeous fabrics and cute cuts. Only the best materials, would go perfectly for a very very special occasion or perhaps for a little flower girl in a luxury wedding (one can always dream can't they!). And finally, I quite liked the idea behind Magnet Mouse - no more fiddly buttons as instead of buttons you just snap the magnets. 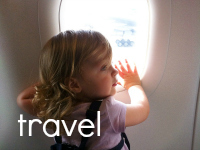 And off you go! I wish I could have spent a bit more time at the event. Alas, my blog model decided on Sunday she would not sleep until 4PM and I have a full-time job so Monday was a no-go either. But come January I will leave the little assistant home and do a proper walk-around and get a really good view of everything out there. There were loads of really beautiful and fun brands I had a chat with at the event, even more than the ones I have featured here, and will hopefully see them again at the next show. 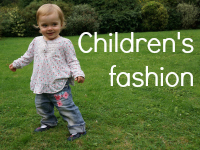 Until then, hope you enjoyed this little peak into new British children's fashion brands! A slightly different link-up than usually but I hope you found it fits within the outfit theme nonetheless - I chose a few different brands from everyday wear to occasion wear and at quite different price points too. What did you think of these brands? Wow love some of the dresses so pretty! I was thinking that if you had several occasions to go, you could just buy one dress and loads of accessories, and you'd have something "new" every time you use the dress. 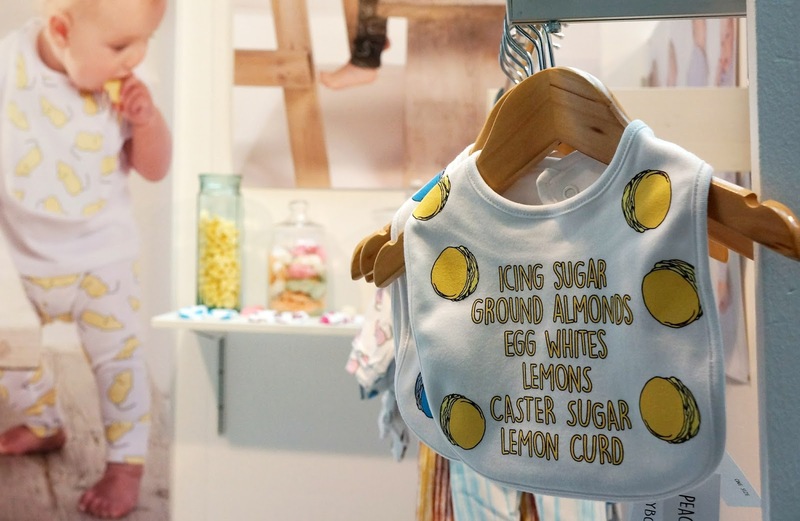 It was the first(children's wear) trade show I've been to and I thought there were so many really beautiful and unique brands. I am pretty sure I will go to the next one too. Ha ha I know, I was thinking about the poor state of my wallet when looking at all these fab brands :) Those shoes were really quite something, never seen anything like that for kids! Thanks - it was fun walking around and spotting things to examine, and to chat with the designers - there is so much talent out there! Those shoes were so funky, I loved the bright colours and splatters, very unique. 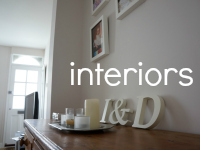 You found some gorgeous things - and all different to the brands I discovered there! I am a mama to boys though, so my eyes were drawn to different things. 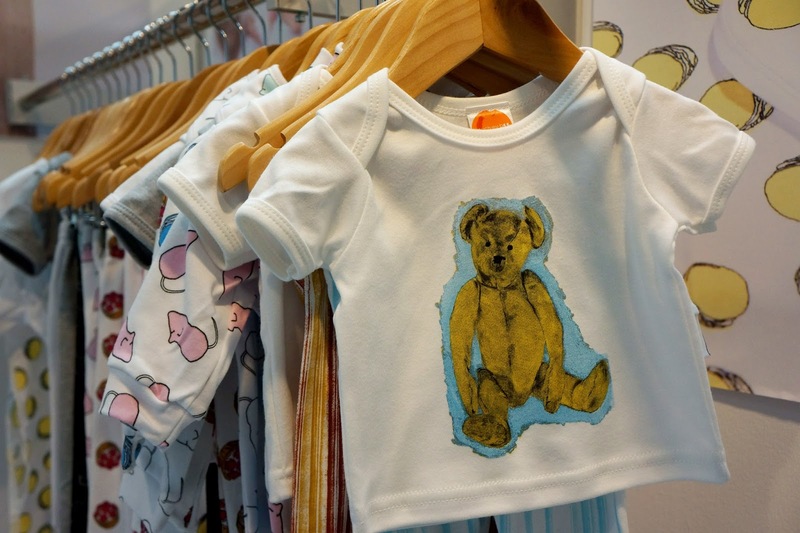 The magnet babygrow sounds fab! Yeah I thought they were both fab - well, all of them are. 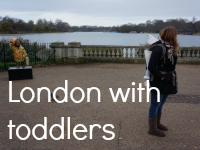 Haha bookmark away :) I'll try to go to the next Bubble London event as well and do another round-up, maybe with a different theme next time. Any ideas? :) Thanks for hosting btw. 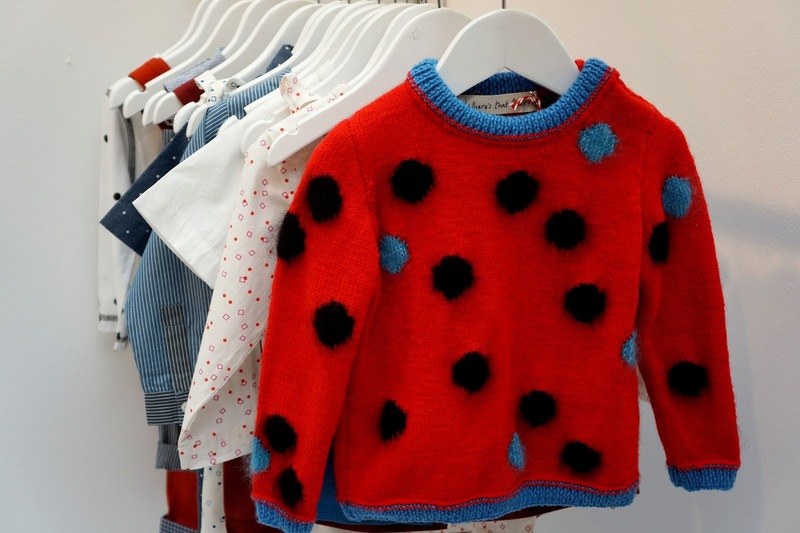 It was so nice to see all this talent - the only brand I had known about before was the Dotty Dungarees, all the other ones were completely new for me. And all so beautiful!